My friend Beth has been denied the chemotherapy drugs her doctor is recommending she get to treat her metastatic breast cancer. Her insurance company, +Blue Cross and Blue Shield Service Benefit Plan doesn't think she should have them. They did a cost-benefit analysis, apparently, and decided Beth's life wasn't worth it. I think that about sums it up. I am angry, and you should be too. I flew to DC last week and spent all day Thursday at a policy roundtable to discuss the future of cancer policy post-election. What happens to the Patient Protection and Affordable Care Act (ACA/Obamacare)? Will Vice President Biden's Cancer Moonshot still get funded? Is Paul Ryan going to be successful in privatizing Medicare? Will the Medicaid expansion go away? Mostly, I listened, because there were some serious wonks on those panels, women and men who've spent their entire careers focused on healthcare policy and how to improve the system. I also asked a few questions. Deep into a discussion on "high-risk pools" and the need to draw in "young immortals" to decrease overall insurance costs, I raised my hand. "Hi. 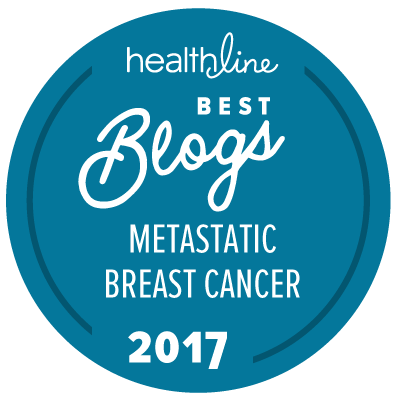 I was one of those 'young immortals' until I was diagnosed with metastatic breast cancer at age 32. Metastatic cancer in young people is on the rise, but people are also living longer with cancer. Cancer is expensive. What about lifetime and annual limits, which are currently prohibited under the Affordable Care Act?" To which the response was, essentially, "Your life matters. I'm sorry for your experience. But trade-offs will have to be made." Trade-offs. This is what we're up against, folks. Here is what I learned, although nearly every speaker admitted we are all trying to read tea leaves at this point. No one really knows what a Trump administration is going to look like, but we do know that the Republican Congress of the last several years has voted to repeal the ACA more than 60 times. One panelist likened it to a dog who finally caught the car. The question is what does the dog do now? Repeal and replace was just a campaign slogan. The general consensus was there is not currently any republican agreement on what to replace the ACA with. So there will be efforts to repeal, possibly with a phasing in of something else down the road. There are legislative tricks up those republican sleeves, including a way to repeal without the requisite sixty-vote majority typically needed in the Senate. Get poised to hear budget reconciliation a lot. And if you don't currently have insurance coverage and think you might want it, APPLY FOR COVERAGE NOW. Keep current on your payments. Those with existing coverage may be grandfathered in to new legislation, if and when new legislation is introduced. Medicare (and Medicaid) as we know it is at risk. Speaker of the House Paul Ryan has repeatedly made it clear he wants to overhaul Medicare (likely to privatize it, similar to what happened with our prison system. That didn't work out so well.) Another panelist said she'd be shocked if this happens in the same year as a repeal of Obamacare, but it's still at risk. While many panelists cautioned that republicans gut Medicare -- and potentially alienate the AARP crowd -- at their peril, Paul Ryan and company seem determined to move on this one. And if the ACA is repealed, so goes the Medicaid expansion. Cancer Moonshot funding is a concern. Congressional appropriations for fiscal year 2017 are at a stand-still because of the election (with another continuing resolution expected before December 9th), and didn't include specific funding for the moonshot anyway. At least one advocacy organization is urging its followers to reach out to Congress and demand a vote on NIH funding this year, rather than flatline the funding at 2016 levels. 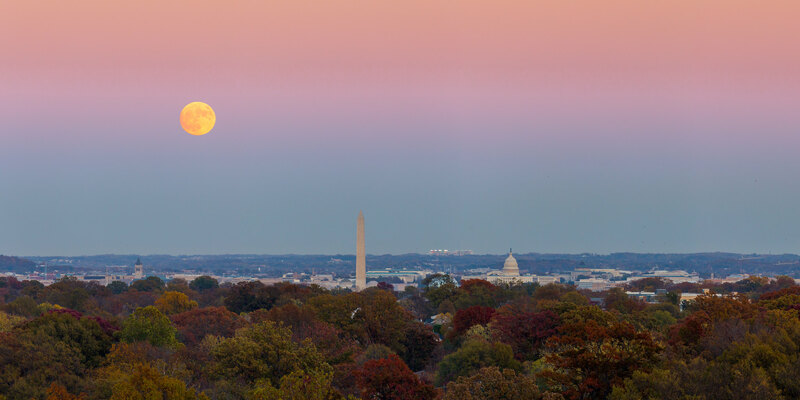 Another opportunity for funding the moonshot is the 21st Century Cures Act, which increases funds in exchange for decreasing regulations at the FDA. But prospects for that legislation during this lame-duck session are murky. I feel like I'm giving you answers straight out of a Magic 8 Ball: reply hazy try again. Speaking of the Moonshot, MATCH Trials have begun. These clinical trials aim to analyze patients' tumors for genetic abnormalities for which we already have targeted therapies. We might have data from these trials in as soon as one year. The current acting director of the National Cancer Institutes is planning on staying on in this administration as long as possible. Typically, it takes new presidents about a year to replace these appointees. Advocacy is more important than ever. Every speaker mentioned it. We need to tell our stories and show that we are more than just a cost in the cost-benefit analyses that Congress and insurance companies are doing. We need to talk about why the Affordable Care Act is important (protections against prohibiting coverage for pre-existing conditions and bans on annual and lifetime coverage limits are my two gems). Is the ACA important to you? TELL YOUR STORY HERE. And write, email, or tweet Congress to tell them your concerns. After a full day of policy information that was admittedly bleak, I went with a representative from MetaVivor to meet a friend on Capitol Hill. We talked about how her office can help us in the cancer community. We have allies on the Hill who understand how expensive treatment is, who know women (and men) are dying by the hundreds every day, and who want to keep the protections that have been in place for several years now. They (and I) also understand the current system isn't perfect, but we don't believe the answer is cutting off protections and coverage for millions of people. People like my friend Beth cannot afford gaps in insurance, let alone insurance that isn't working for them and denying treatments. Another friend told me she would stop treatment rather than bankrupt her family, if she lost her access to Medicare. My friends are having to think about making the choice to die or pay their bills. I would stop treatment before bankrupting my husband, no doubt about it. I am scared to death of lifetime caps going back into place. You could get dumped by one insurance company for spending the lifetime limit and not be able to get new insurance because of having a pre-existing condition.